Getting weak signals on a cell phone is one of the most frustrating things! With weak signals come slower internet connection and frequent call drops. Who do you think might be a reason behind this? Your cell phone manufacturer, or your telecom provider? Well, it’s your location’s fault and not a fault of any telecom or mobile phone manufacturer. And, a permanent fix to this is to install a Cell phone signal booster. Below, we have added reviews for the 10 Best Cell phone Signal Boosters. All of them come with different area coverage so that you can choose one depending upon the size of your home/office. We-boost is a very popular brand in the world of signal boosters. Connect 4G is one of their series of cell phone signal boosters. It is available in different variations with different signal range and overall design. Connect 4G-X is ideally built for home and offices with a range of 7500 square feet. 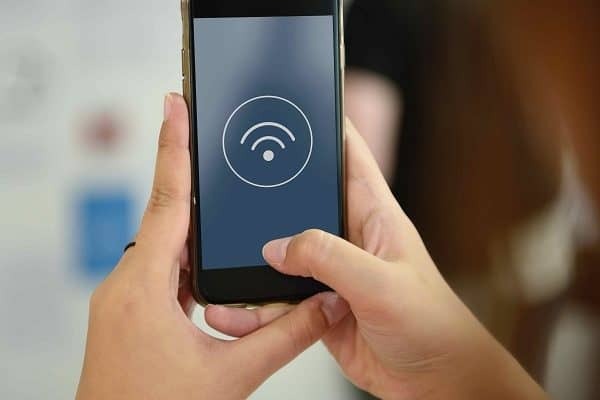 if you want a signal booster for a smaller location, you can go for Connect 4G, which has a range of 5000 square feet. Compatible with all US and Canada carriers including Sprint, AT&T, T-Mobile, Verizon and many more. Has a range of up to 7500 square feet. Quick and easy, do it yourself installation. Consumes only a small percentage of mobile battery. Works with both 3G and 4G LTE signals. Up to 32x signal boosting capability. Comes with all components needed for an installation. If you are living in a rural area and got tired of trying different signal boosters then you are absolutely going to love this. We boost Connect 4G works great in rural areas. In most of the rural areas, the only way to get a hold of internet connection is to either get a satellite connection or go for a cell phone provider. Satellite connection is expensive and would require quite a maintenance. Cell phone provider, on the other hand, is cheap and easy to get, but would usually catch weak signals. In that condition, WeBoost 4G-X comes as the ultimate solution. The booster comes with a range of around 7500 square feet, which would be more than enough. However, before installing the booster, you need to go make sure you are installing it at a point that has the strongest connection. To be sure about that, try installing it at various points in the house. If you have ever used any signal boosters in past, then you must have faced the problem of battery drainage. 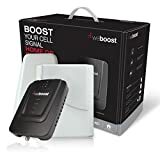 it’s true that signal boosters consume some part of the battery and same happens with WeBoost connect 4G-X, but as compared to other signal boosters the drainage with Connect 4G-X is quite less. 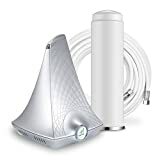 WeBoost connect 4G also comes with Auto gain technology that automatically balances the signal strength inside the home when the signals outside are too strong. Most of the other signal boosters will completely shut down in these situations and will end up providing no signals what so ever. The indoor antenna could be improved to a further extent. It works great for short range, but once you start getting far away from the antenna, the signals start getting weaker. In short, the antenna doesn’t perform well with concrete walls or any blockage. Comes with patented automatic gain technology. Consumes only a small percentage of battery. Works great in rural areas. Compatible with all cell phone providers in the US & Canada. Coverage range of 7500 sq. feet. Booster gets really hot sometimes. Though the booster comes with a really hefty price tag, we think the overall features make up to it. It’s compatible with all the cell phone carriers in the market and performs really well in rural areas and woods. If none of the boosters in the market worked for you, this will surely do. If we don’t take the WeBoost signal boosters into consideration, then the sure call boosters would be our most probable choice. Flare Signal booster supports3G/4G LTE network on all the carriers in North America. The maximum range is around 2500 sq. feet, which makes it ideally suitable for small home and offices. Supports up to 8 simultaneous users. Unique design as compared to other signal boosters. Up to 2500 sq. feet of indoor coverage (depend on strength of outside signals). Comes with 50 feet of premium Rg-6 cable. Supports both 3G and 4G LTE connection. The sure call signal booster comes with manual gain adjustments so that you can switch between 4G and 3G for better data transfers. The booster also comes with Led indicators on top that are really helpful in knowing what actually going with the signals. As similar to WeBoost 4G, the sure call flare is also a very powerful signal booster. It not just only improves the cellular signals but also makes sure that your battery is not drained out much as compared to other signal boosters. With full signals on board, you can easily get a range of around 2500 sq. feet. Technically that would cover 1-2 rooms fully. The booster is compatible with both 3G and LTE network and will work with all the cellular networks in North America including Sprint. AT&T, Verizon, T-Mobile etc. The one thing that we found out quite different from other cell phone signal boosters is the overall design. The Sure call flare comes in a unique triangular shaped design, in silver colors with beautiful engraved spiral lines on top. We would also like to talk here regarding something that is mistaken by most of the signal booster users.Most of the users complain that the booster didn’t work for them at all. Well, for a booster to work, there must be some type of signals. Weak, very weak signals would work. But, if you have absolutely no signals in your area, no booster will work. Great range of up to 2500 sq. feet. If you are looking for a signal booster for your small home or office, then sure call flare would be a perfect fit. It is ideally built with a range of 2500 sq. feet and comes at a very fair price point. Hiboost 10K has one of the highest range you would ever see in any signal booster. It comes with a range of 10,000 sq. feet, which is enough to cover a large home or office. HiBoost 10K supports all the 3G/4G LTE cell phone service providers across North America including Verizon. 10,000 square feet of coverage area. Can handle up to 150 simultaneous users. Comes with a small LCD screen for easy tuning. Supports all the cell phone providers in North America. Supports both 3G/4G LTE networks. Comes with manual gain adjustments. 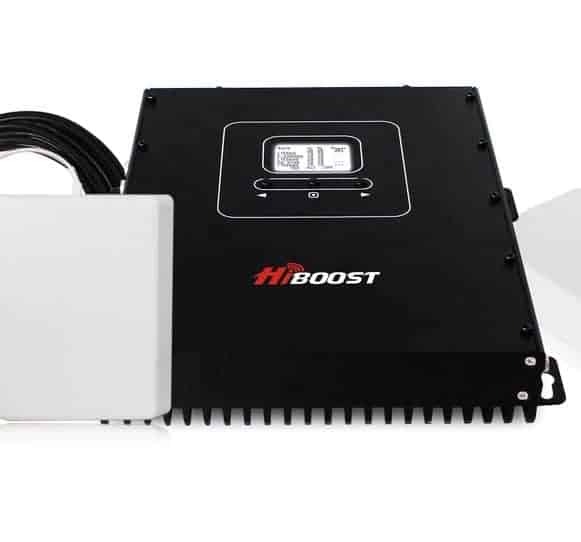 Hiboost might be a new brand in North America, but is a very popular brand in Asia, Europe and other parts of the world. It specializes in creating cell phone signal boosters for both small and large home/office and also for Cars, trucks, and RVs. Hiboost 10K comes with a range of 10,000 sq. feet. Hiboost has some of the other boosters in the market that come with a range of 5000 sq. feet, 2500 sq. feet and some even go upto 15000 sq. ft., which is absolutely insane. Hiboost 10K is built of highly durable metal and is compatible with all the cell phone signal providers in the United States and Canada. The booster comes with comes with a signal repeater kit that has everything needed for a successful installation. Kit includes a user manual, installation guide, six-foot cable, DC power adapter, and some other accessories. Hiboost 10k also comes Smart Auto and manual gain adjustments function. With AGC (automatic gain controlling system), the signal gain is controlled automatically depending upon the strength of the input signal. With MGC (manual gain controlling system), you get the option to control the signals manually. To check the signal strengths you can have a look at the indicators at the top. Supports all the carriers in the United States and Canada. Hiboost signal booster 10k is a really great signal booster for large home and offices. It comes with really smart features like Auto and Manual gain adjustments. Looking at the price tag it comes with, we would prefer it over the WeBoost connect 4G. The Reasons behind Bad Cell phone signals. Before we get into the solution of the problem, we need to find out why the problem has occurred? Construction material used in building your home/office. This is the most common reason for bad reception. You got settled in the woods and all the towers are installed in cities, which creates a very big distance gap between you and the cell phone tower. The closer you stay to the tower, the stronger the connection is. And, the moment to start going far, the connection gets weaker. At some point, it gets so weak that it can’t even hold up a call or Internet connection. You are likely to suffer from this issue if you are living in rural areas. The next reason behind bad signal reception could be too many buildings in the area, some mountains, and hills. the cell phone signals are usually not able to penetrate these big mountains and building and bounce back. You can also face this issue if you have underground locations in your house. Signal strength in the underground room is usually weak. This might come as a surprise, but yes! construction materials can cause signals blockage. Things like brick, concrete, and block are well-known blockers of cell phone signals. If you have noticed that the signals get jammed as soon as you step into your house, then the problem is mainly with the construction materials. The first question that comes in mind when someone gets to know about signal boosters is if they actually work? Well, if you have any kind of signals at your location, they will work. However, if you have absolutely zero signals, they then won’t work. A cell phone signal kit is made of an outside antenna, a signal amplifier, and an inside antenna. The outside antenna receives the signals from the tower and passes it to the signal amplifier. The signal amplifier improves the signal strength and the passes it forward to an indoor antenna. From there the signals are directly absorbed by cell phones.